If you want employees to do something, you tell them what to do. If you want them to continue doing it, you'll need to use appropriate consequences. The steps you take to start behaviors--preparing a plan, assigning tasks, providing training, implementing a new policy--are not very effective in sustaining those behaviors. Consequences are. There are two primary types of consequences, or ways we reinforce behaviors: positive and negative. Which is more effective? Most everyone will agree (and research confirms) that positive reinforcement is the better approach to influencing behavior for the long term. But which is more common in the workplace? There's no question that negative reinforcement is more prevalent. 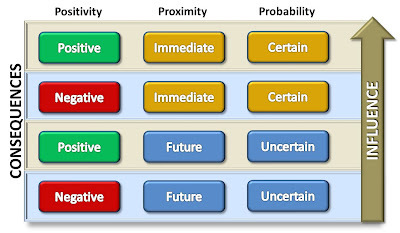 The efficacy of reinforcement is influenced by three key factors: (1) positivity, (2) proximity, and (3) probability. Positivity is the degree to which the reinforcement is viewed as positive or negative (or somewhere in between) by the recipient. Both positive and negative reinforcement can increase desired behaviors, but there is a substantial qualitative difference in the results. Positive reinforcement helps promote discretionary effort, going beyond what is required because the employee wants to. Negative reinforcement, on the other hand, produces compliant effort--the minimum required to do the job or avoid punishment--because the employee has to. Obviously, discretionary effort is preferred. Yet research indicates that less than 30% of American workers regularly give discretionary effort. That's a reflection of the predominance of negative reinforcement. 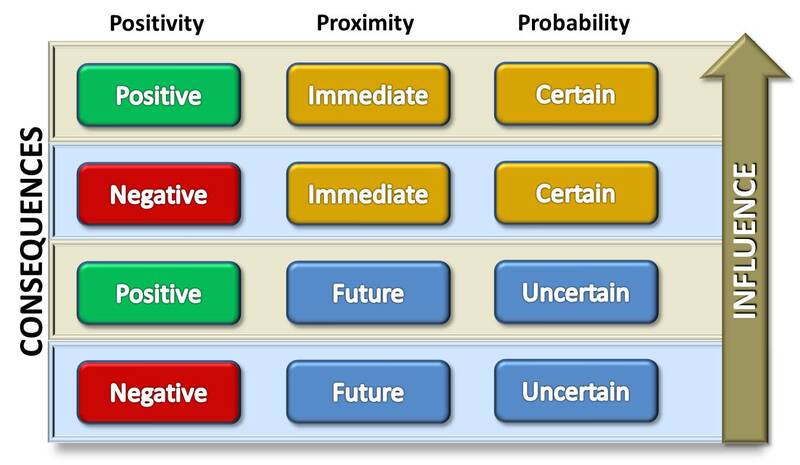 So positivity is important, but what really affects the power of reinforcement is the combination of proximity (how soon after the behavior the reinforcement takes place) and probability (the likelihood that the reinforcement will occur). The two go hand in hand. When reinforcement (or consequence) comes shortly after a behavior, the probability of it is obviously higher. When it is delayed, it becomes less certain. The chart below, adapted from Aubrey Daniels' excellent book Bringing Out the Best in People, illustrates this dynamic. Positive reinforcement that is immediate and certain has the greatest influence on behavior. Negative reinforcement that is immediate and certain comes next, ahead of positive reinforcement that is future and uncertain. This chart reveals why negative reinforcement often seems to work best. It's because it's typically more immediate and certain than the ways firms commonly attempt to use positive reinforcement. 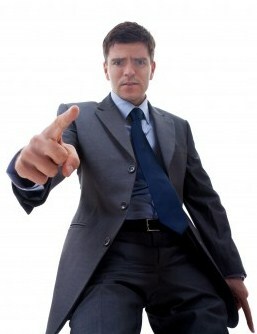 If an employee messes up, the criticism, threat, or punishment usually follows shortly. What about positive reinforcement? The first problem is that it is in short supply. One survey found that an astounding 65% of American workers claimed that they had received no recognition for good work over the past year. When I've done employee surveys at A/E firms, I've always included a question about how well employees are recognized or rewarded for a job well done. And this question has consistently produced one of the lowest scores. The other big problem with positive reinforcement, as practiced, is the tendency to delay it. When I ask A/E firm leaders what steps they take to improve performance among their employees, the first thing mentioned is usually their bonus or incentive compensation program. Indeed, according to ZweigWhite, 9 out of 10 A/E firms have some such system in place and widely believe it improves performance. It must be valued by the one receiving it. Of course, everyone appreciates getting more money. But studies show that monetary rewards are typically not as effective in influencing performance as other, less tangible forms of reinforcement. It should be contingent on performance. There should be a clear connection between the reinforcement and the desired actions: "When you do this, you get that." Bonuses are usually more contingent on corporate or team performance than what the individual does. It needs to occur regularly. Infrequent or inconsistent reinforcement--or incentives--are not effective in sustaining behaviors. It should be immediate. The closer the reinforcement follows the desired behavior, the better. We're all familiar with the power of immediate gratification. Delayed reinforcement is less effective in large part because it is less certain. This certainly applies to incentive compensation paid out annually. When your attempts at positive reinforcement fail to meet the above criteria, negative reinforcement--which tends to be more immediate and consistent--can easily become the default standard. Rather than reinforcing desired behaviors, managers often find themselves devoting more attention to trying to mitigate or eliminate undesired behaviors. Let me encourage you to assess the prevailing approach in your firm, office, or department. How much positive reinforcement do you see? How much negative? How much neglect to provide either type of reinforcement? And what is your style as a manager or leader? In a tough economy, can you ignore proven steps for improving employee performance?